Bugs Bunny, who’s watching the game, wearing an innocent straw head, boasts that he can beat the Gas-House Gorillas single-handedly, so he gets himself a game. Playing in every position he manages to win the ball game in this wild and hilariously funny cartoon. Highlight among the many gags may be Bugs’s constant jabbering. Some of it was copied by Jones in ‘Rabbit Punch‘ (1948). 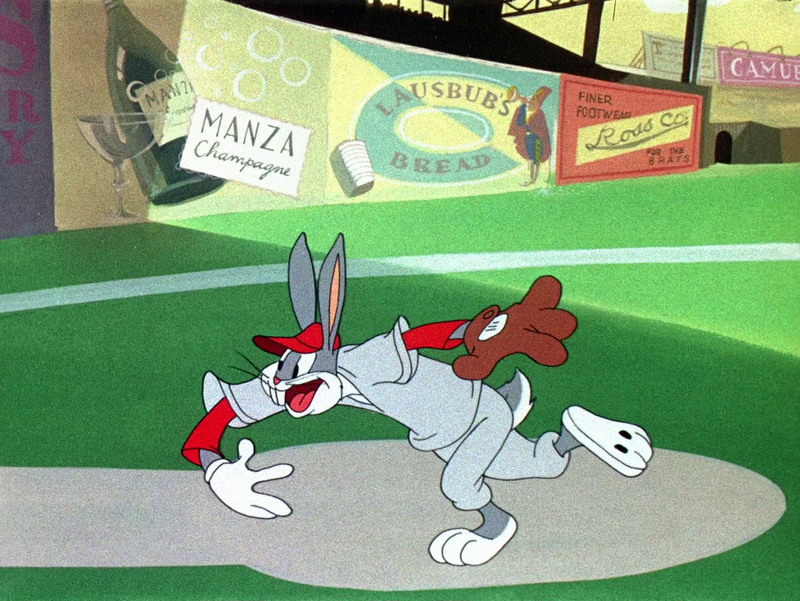 ‘Baseball Bugs’ reuses several gags from the Woody Woodpecker cartoon ‘The Screwball’ (1942), but with much better results, making it a classic, where ‘The Screwball’ was not.